By default all the nodes have the same size. It is possible to apply different sizes to nodes depeding of their categories and/or property values. This way it is possible to differentiate nodes with a specific category and/or property. This works similarly to the coloring functionality of Linkurious Enterprise. Coloring and sizing can be combined to make powerful visualizations. We are going to size the different companies according to their funding_total property in order to visualize which ones are the most successful. We click on the upper right corner to open up the Design panel. We open the Company category and the funding_total property. 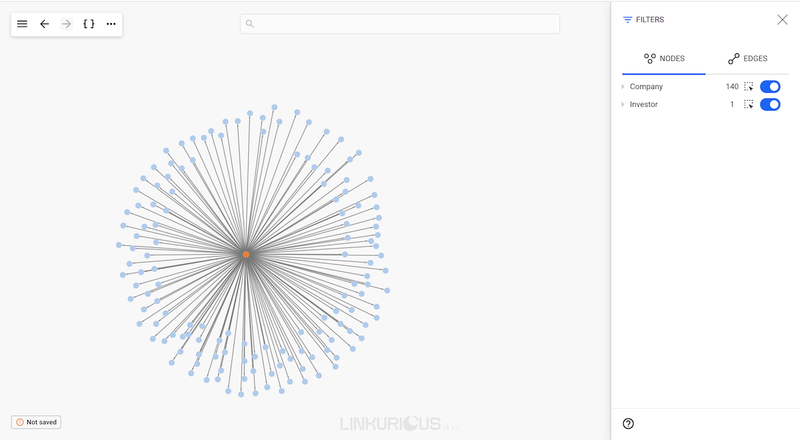 Linkurious Enterprise can size the nodes according to any property. 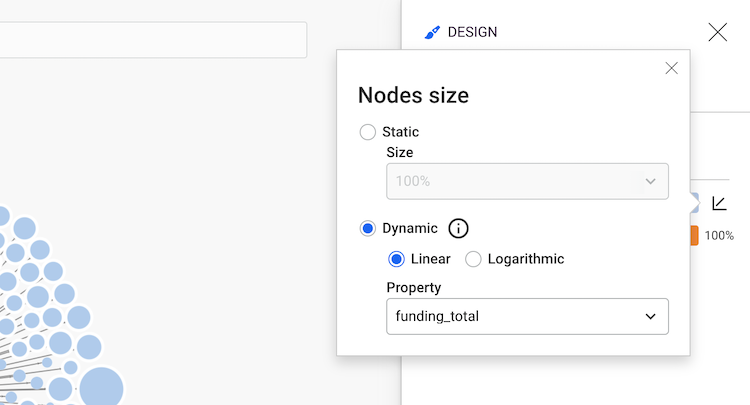 We want to set the size on the node with the biggest funding_total. To do so we need to see all the values and apply a size on the last one. Now we can see that the majority of nodes continue showing the standard size and the nodes with the biggest value has a different size. The larger node represents "Pinterest". We can quickly identify it as the most successful investment of investor "Andreessen Horowitz".